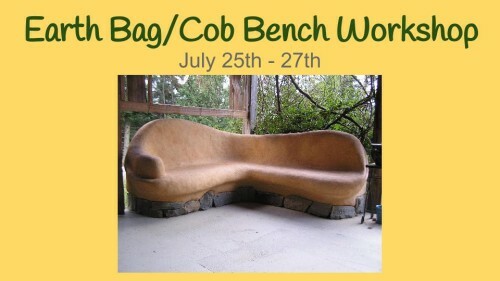 Karen George of Build Like a Bird Natural Building will be our instructor for a a 3 day workshop where we will build a cob bench with an earth bag interior. If you’re unfamiliar with earth bag construction, it’s a quick method of sustainable building and participants will complete this workshop chomping at the bit to get started on their own earth bag project! Cost is $180 per person with group rates available. On Sunday, we will have a pizza party using the cob oven from the previous workshop. We will have the class rain or shine! Visit thebaleyreeshire.com to register.